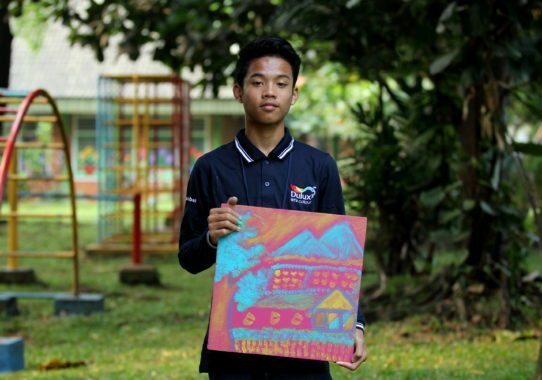 The partnership between AkzoNobel and SOS Children's Villages in Indonesia began in May 2017 through the launch of the youth employability initiative YouthCan! 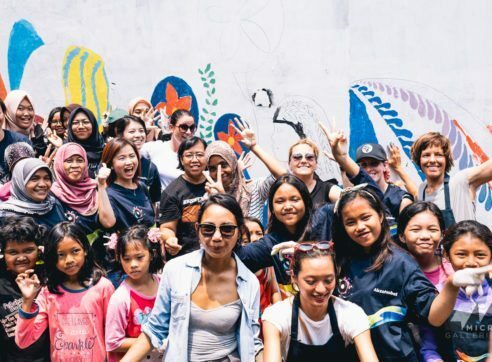 The partnership between AkzoNobel and SOS Children’s Villages in Indonesia began in May 2017 through the launch of the youth employability initiative YouthCan! Now, at the end of 2017, 60 participants have been through the Dulux Painters Academy training programs and workshops. Unemployment and a lack of decent work opportunities represent the challenges that many young people around the world face. According to the data from the International Labor Organization, the global number of the unemployed youth is set to rise by half a million this year, to 71 million in total, the first such increase in 3 years. In order to help we have partnered with SOS Children’s Villages and created a comprehensive training program that also includes community painting activities. The partnership aims to drive impact through education and living space renovation, as well as to create more employment opportunities for the youth at risk. 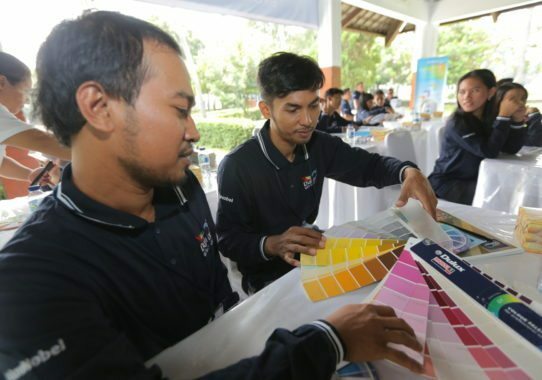 In Indonesia the Dulux Painters Academy workshops started in August and included color training and knowledge building, as well as various painting techniques, from basic painting to decorative painting and texture painting. This activity builds on previous projects targeting the issue of unemployment such as in 2014, when AkzoNobel implemented the Empowering Jobless event in Pisangan Baru, Matraman Jakarta, when the main participants were adults. Participating in the training, Devita Natalia, 19, who studies marketing in Politeknik KPP, said, “Joining the workshop has been an eye opener for me and I am keen to explore this opportunity more, especially with my study in marketing. There is a lot to explore when it comes to color and paint”. Gugum Gumelar, 17, who is interested in computer science, commented, “I had never learned about color creation until now. I am so excited to apply what Dulux Painter Academy has taught me in my room and utilize it using computer at school”. AkzoNobel’s partnership with SOS Children’s Villages is a global partnership already rolled out in 4 countries (Brazil, Nigeria, South Africa and Indonesia). It is part of the company’s Let’s Colour program aimed at helping children, families and communities in need through the painting projects. SOS Children’s Villages provides a loving home and family for children without parents, and supports the families and local communities around children at risk of losing parental care. The youth unemployment is a major global problem, leading to social exclusion and unfulfilled lives. “At AkzoNobel, fostering the growth of the next generation is a key area of our purpose in creating everyday essentials to make people’s lives more livable and inspiring. 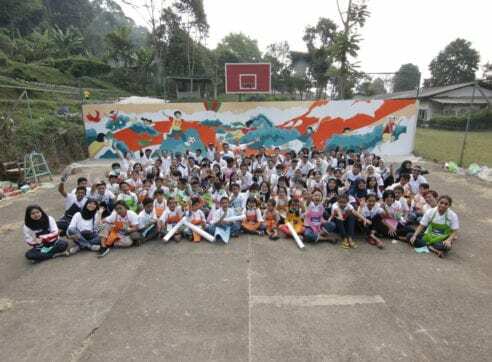 We are proud to be providing an avenue for the young people at SOS Children’s Villages Indonesia to be equipped with painting skills, and to widen their capabilities of becoming skillful painters through our Dulux Painter Academy. And by improving their chances of becoming independent adults, they would be able to take responsibility for themselves and the communities around them”, commented Anastasia. 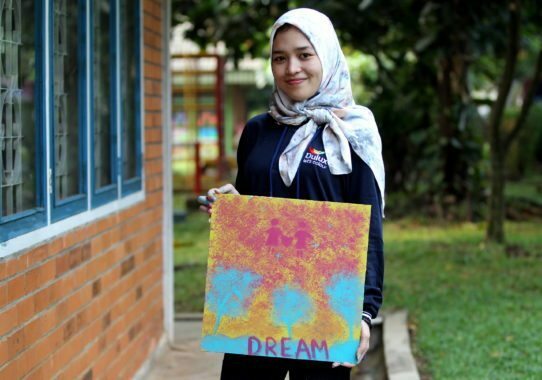 Globally, the partnership between AkzoNobel and SOS Children’s Villages started in March 2017 with a focus on four countries: Brazil, Nigeria, Indonesia and South Africa, as part of AkzoNobel’s Let’s Colour initiative. By the end of 2017, almost 100 young people have gone through the training programs and workshops in these four countries. Following the success of the program, the two partners will broaden the program in 2018, to include Argentina, Belgium, China, Pakistan, Russia and India. 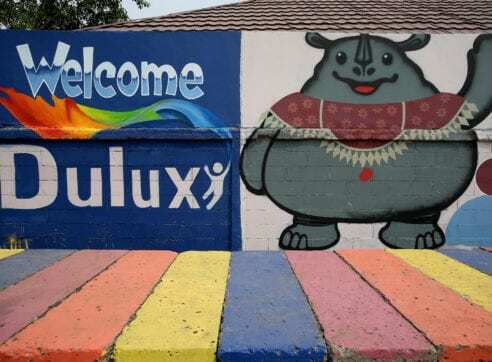 Explore other Let’s Colour projects that we have implemented in Indonesia, including Let’s Colour Walls of Connection in Jakarta and Painting murals in Yogyakarta. Find out more about Dulux in Indonesia.